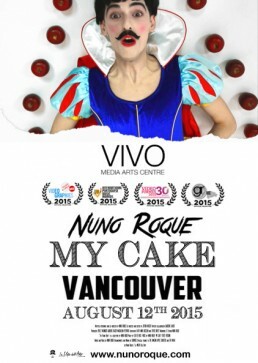 We are happy to announce that Nuno Roque’s My Cake will be screened at VIVO Media Arts Centre in Vancouver (Canada) on August 12th, 2015. This will be My Cake’s first screening in Canada. Free admission and popcorn! Doors open at 7 pm. For all the details, please click here.